There are three kinds of guys: forks, knives, and spoons. That is the final lesson that Amy York’s father sends her off to college with, never suspecting just how far his daughter will take it. Clinging to the Utensil Classification System as her guide, Amy tries to convince her skeptical roommate, Veronica Warren, of its usefulness as they navigate the heartbreaks and soul mates of college and beyond. Beginning in 1988, their freshman year at Syracuse University, Amy and Veronica meet an assortment of guys—from slotted spoons and shrimp forks to butter knives and sporks—all while trying to learn if the UCS holds true. On the quest to find their perfect steak knives, they learn to believe in themselves—and not to settle in love or life. My thoughts on the book: I had first requested the novel on NetGalley but wasn’t quick enough to download the file that was archived shortly after. Anyway, I was really keen on reading it because I was curious about the whole kitchen utensil classification of men. So, months later, I finally took the time to buy a copy online and read it. 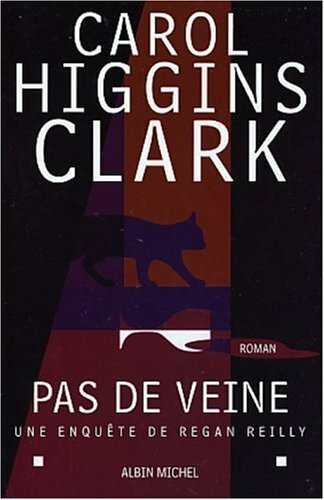 Overall, I thought the novel was endearing and entertaining. It was fun to read about the American college experience. The fraternity and sorority societies are culturally foreign to me, but I enjoyed reading about them. Somehow, the action unfolding in Syracuse University made me think of the US show Felicity also set at a time when people didn’t have smartphones or Internet and still used letters and audio tapes. There’s a real sense of nostalgia for this decade. I like that the story starts at the end of the eighties and then covers a vast period of time. It gives enough time to watch the protagonists evolve in a credible way. The relationships between Andrew and Amy, but also Amy and Matt are a major highlight of the book. But I must say that I have a soft spot for Joey and Veronica who are an unusual but heart-melting pair. 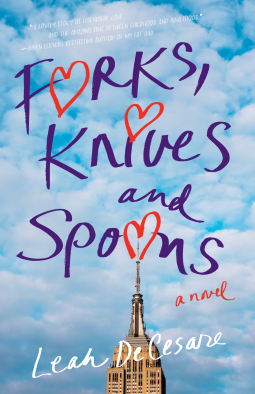 All in all, if you’re looking for a heartwarming, fun and witty novel, I really recommend Forks, Knives and Spoons. Merci, Caroline! Sorry about the NetGalley archiving it before you downloaded! Thanks for buying it and for your kind review. I, too, have a soft spot for Joey … 🙂 Je vous souhaite un bon ete! Many thanks to La Biblio de Caro for this review.